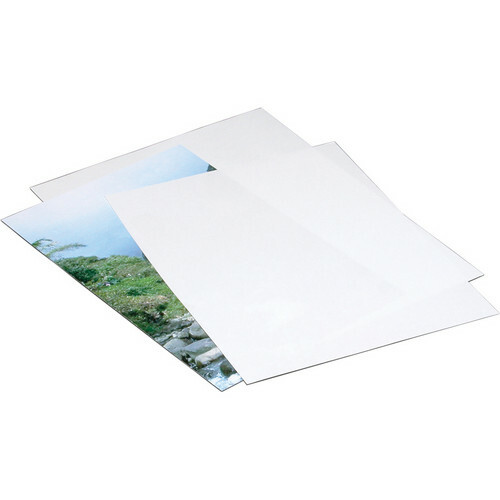 This 100-pack of 17 x 22" Unbuffered Archival Paper from Print File is a thicker interleaving paper version of the tissue. The paper is designed to prevent digital or photographic prints from rubbing against each other during storage or transport, therefore, the paper would protect against scratches or unwanted damage. This paper can also be used to line the inside of a box, a storage drawer, or wrap around artifacts that need protection. The 80 lb archival text paper has a smooth white surface, and the paper contains 25% cotton fiber, which is acid- and lignin-free. Box Dimensions (LxWxH) 17.8 x 11.8 x 11.8"